At a time when a primary mode of interaction between young people is through social media, this group may be especially vulnerable to the possibility of forgetting the value of public space around them. Why play chess in the park when you can play it on Facebook? Why walk along the riverside when you can send Tweets instead? Why have lunch from a kiosk in a public plaza when it’s easier to post Snapchats of your food from home? Over the past month, I have had the privilege of working with Project for Public Spaces (PPS) as their first high-school intern. I have been observing, photographing, and researching the management of public spaces in and around New York City. I’ve visited the city many times before and have taken a module on planning in my geography class, but observing New York through the lens of placemaking brought a new dimension to my understanding. Playing chess in Bryant Park allows us to meet, interact, and be inspired face-to-face by people from different walks of life and from places all over the world. Walking along the Hudson Riverside with a friend gives us a free meeting point and lets us engage in physical exercise while appreciating a lovely view. Having lunch alone at a kiosk in a public plaza, like Plaza 33, allows us to take time out of the day to rejuvenate, meditate, and think, while enjoying some fresh air. Public spaces are essential local, or, in the case of New York, global, assets that bring together people of all ages, including young people. My journey through New York revealed that the city is a model for successful public space for young people. Using photography, I tried to capture this. On arriving at a new space on my list, I kept my camera packed away as I immersed myself in the area. I would take a walk around, pick up food from a kiosk, sit down, or join the activities, to observe patterns in uses. Then, I purposefully, but casually, started snapping. 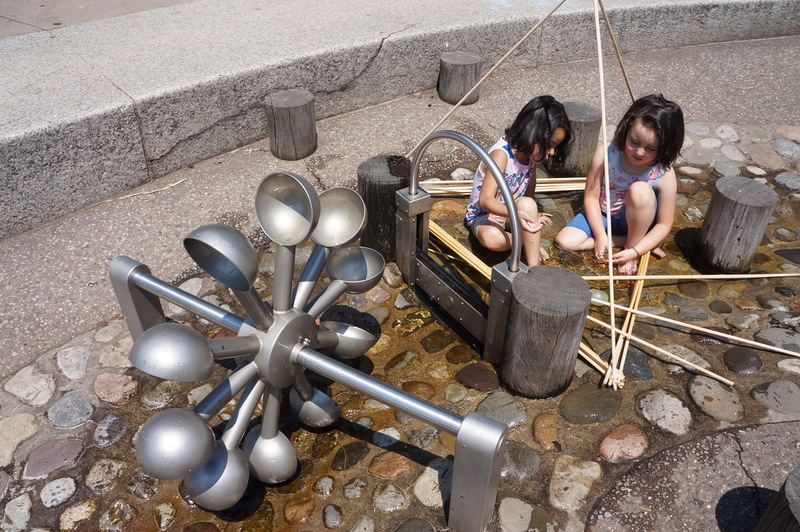 Photos of public space should aim to communicate its qualities as a site for human activity. I took close-ups of people to capture their natural facial expression, hinting at their perception of the space. Medium-scale shots were more useful in capturing each person’s interaction with the space – from the seating, to vegetation, to lighting features. I remained alert to my surroundings so as to not miss a moment, but was also patient in waiting for the right instant for each image. I tried different angles - from crouching at the perspective of a toddler, to a wide angle from a 7th floor window of one of the buildings around Washington Square Park. Taking these photographs from these different human-scale perspectives allowed me to see how people use public space in new ways. 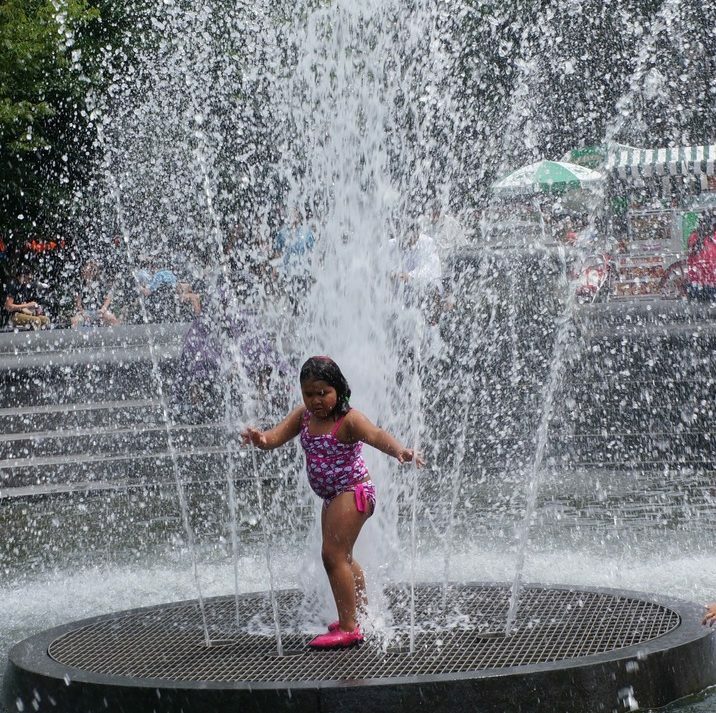 New York City’s public spaces are a haven for “people-watching.” I smiled as a boy immersed in his thick book under the shelter of the net of Washington Square park playground as his playmates jumped around him. I laughed as two New York teen girls decided to eat take-out sushi and catch up at a picnic table in the middle of Times Square. I watched intensely as a teen managed to defeat an older competitor at a game of table tennis in Bryant Park. I observed as children were charmed by the whimsical other-scaled world of the playground against stunning views of the Manhattan skyline in Pier C, in Hoboken. I delighted in seeing toddlers try out the newest treats at a market stand in Smorgasburg. I saw a young couple run through the fountain to cool off in one of the East Village community gardens. I kicked back a football which missed the goal at the lovingly well-used ball court at 78th Street Play Street in Jackson Heights. I joined in when a 11-year-old tourist learned how to pot her first shrub as part of Madison Square Park’s horticulture program. I listened to aspiring young musicians delight ears from a performance stage at Prospect Park. I witnessed a group of boys amble down 51st street and gasp at the sight of Greenacre Park’s water fountain. I watched as a young girl swam back to shore with her father after their cardboard kayak was defeated by the waves at City of Water Day on Governor’s Island. I was amazed at how many young adults seemed to know each other as they gathered at the Frying Pan for drinks on Saturday afternoon. In each of these moments, I saw problems as well as successes. While the movable chairs in Bryant Park are left out all night because the risk of theft is so small, at 78th Street Playstreet in Jackson Heights, benches and picnic tables are tied to the ground. Some spaces, especially in outer boroughs, were underused, or even abandoned. Places could seem unsafe, and were perceived as "loitering" spaces for the youth. Some spaces were dominated by one class or ethnic group. Others were unused by newly arrived immigrants. 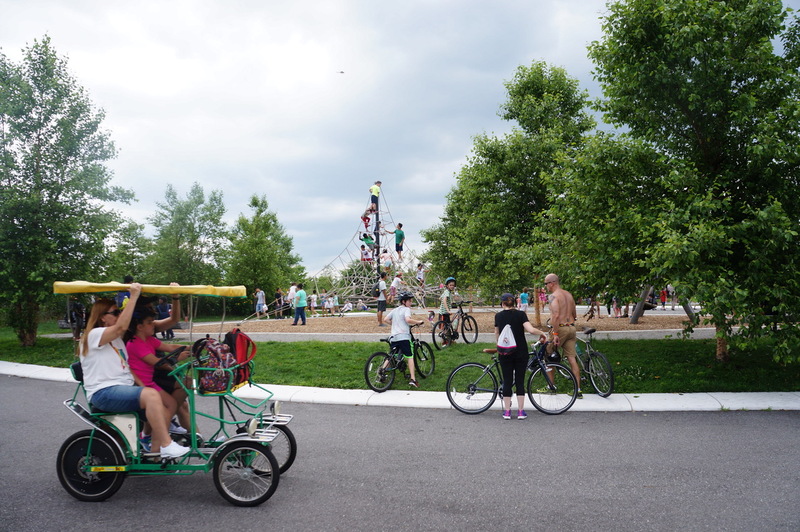 Moreover, even in New York City, where placemaking is becoming a local priority geared towards better quality of life, my research into the management strategies of these spaces revealed that young people often have little say in the active community involvement or participatory planning process. 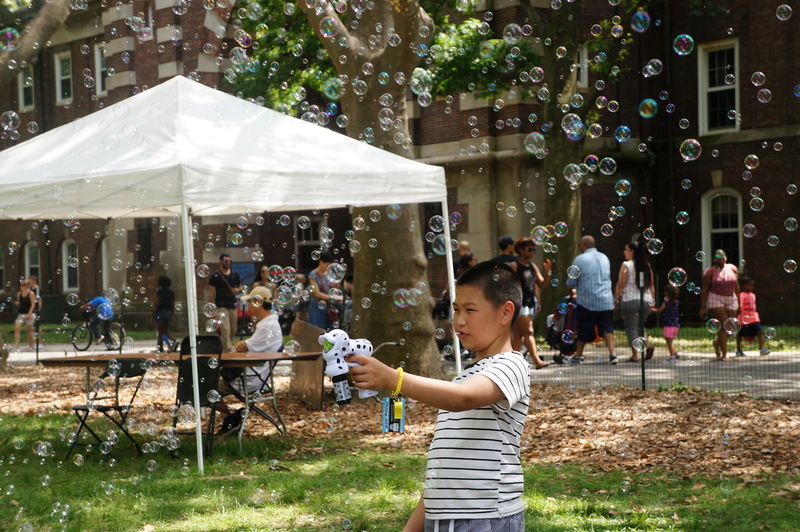 From the NYC Parks Department, to Business Improvement Districts, to not-for-profit organizations, young people may be considered in the placemaking process but they are hardly directly involved. This is generally true of many of the cities I have been fortunate to visit -- in London and Dubai, placemaking is largely top-down, organized by entities such as government organizations or planning agencies, with little input from the youth. Public engagement at a young age is key to making young people feel like they have invested in their community and develop a strong sense of ownership in their space. After all, we will be the ones using, managing, and advocating for them in the future. My experiences over the past month at PPS have taught me so much about the importance of public space. I have learnt the stepping stones of the placemaking process, and seen first-hand how public space can bring the community together. I am empowered and resolved to engage in placemaking in my own community in London. My fellow young people have the duty and right to do the same, and many of them have interests in doing so. For this reason, I am very excited to launch Future Place: Makers & Shakers, an online platform under the auspices of PPS which will allow and encourage youths to discuss public space and contribute to building their own communities. The platform will span from reading recommendations, to photographs of cool examples of placemaking around the world, to self-led programming and meet-ups at public spaces, to ideas for introducing placemaking to the curriculum, to calendar invites to events in major cities, to an online forum for discussion and dialogue. I hope this page will provide resources that inspire young people, like me, who share an interest in placemaking to come together. This will allow young people to use social media in a positive way which fuels engagement with their community and the building of the public spaces of the future. In addition, for future placemakers located near New York, PPS will be able to provide a summer internship to a high-school student volunteer every year, thus allowing them to provide assistance to the organization while learning about the amazing work that PPS does and exploring the city in a creative and exciting way.